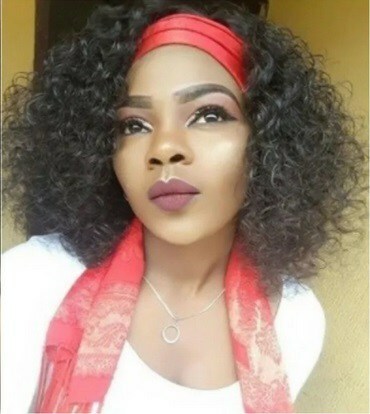 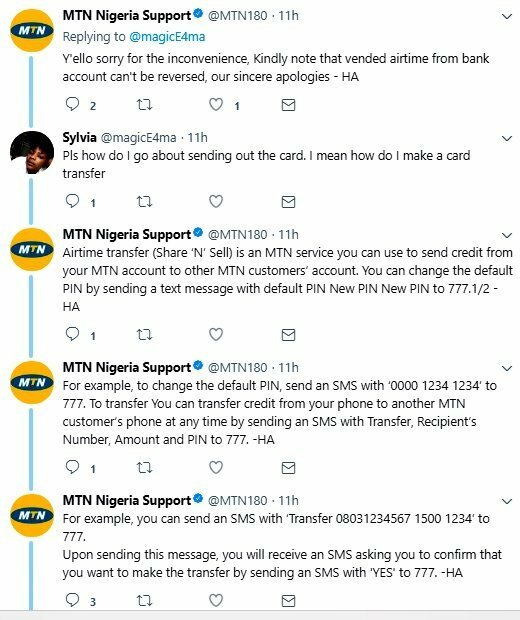 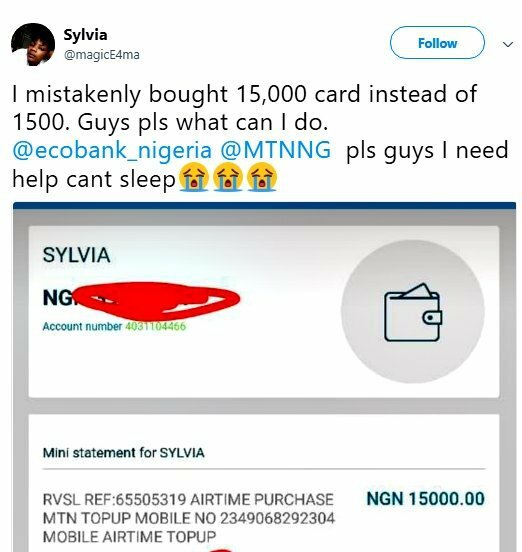 A Twitter user identified as Sylvia (@magicE4ma) has expressed appreciation to EcoBank and MTN Nigeria for coming to her aid after she mistakenly bought N15,000 instead of N1,500 airtime through MTN Virtual Top-Up (VTU) from her bank account. 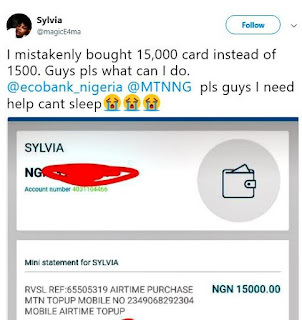 She disclosed that she was crying and could not sleep after the incident, until EcoBank intervened by reversing the transaction. 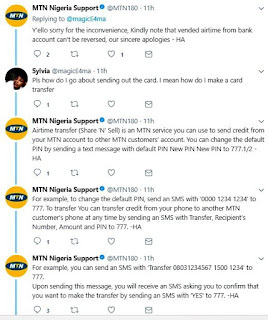 She also thanked MTN for immediately showing her steps to take after she made the mistake.